It was a picture perfect spring day for a wedding at the Basilica in Hudson, NY and we couldn’t have been more excited! 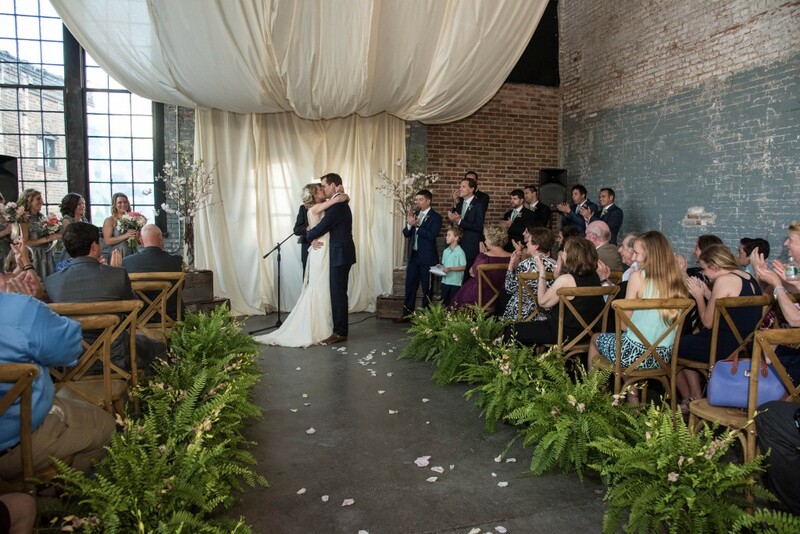 Christina and Paul made their wedding a party for all of their guests and even brought in games to play, as well as a food truck! 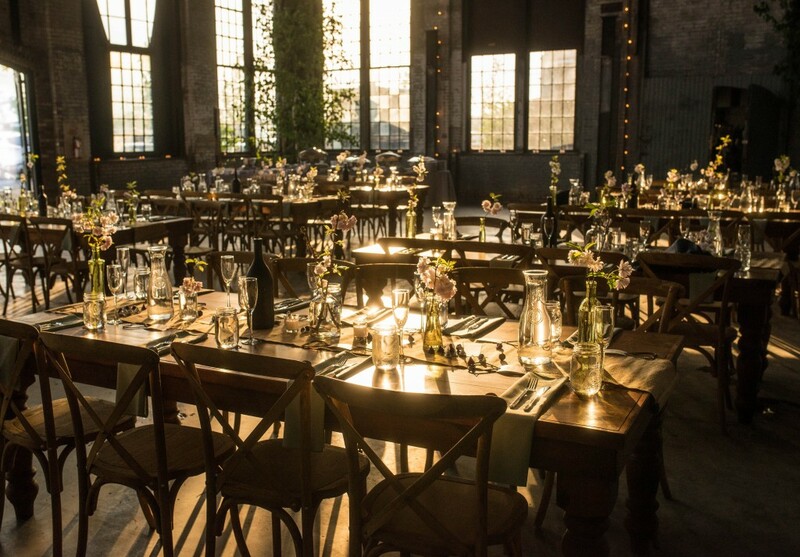 Christina and Paul jazzed up the raw industrial space with gigantic birch trees that towered above their guests and brought a little touch of the outdoors in. 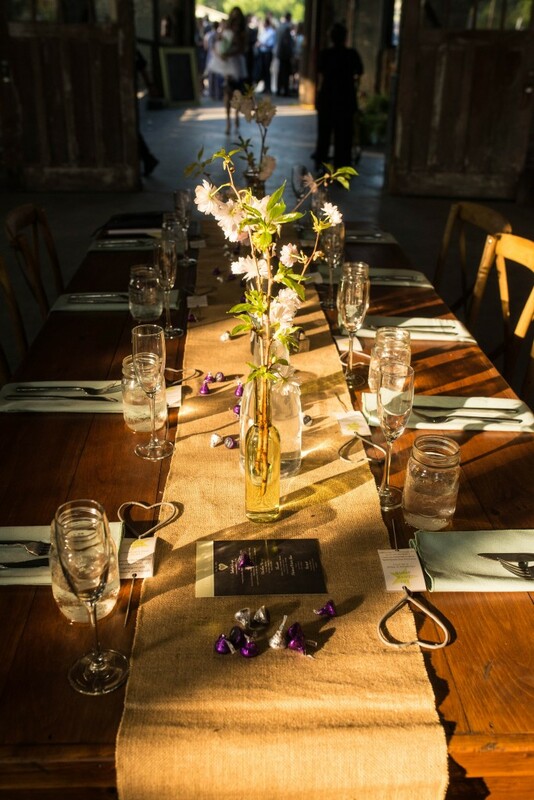 Christina and Paul originally wanted assorted spring flowers in bud vases as centerpieces for all of the farm tables. 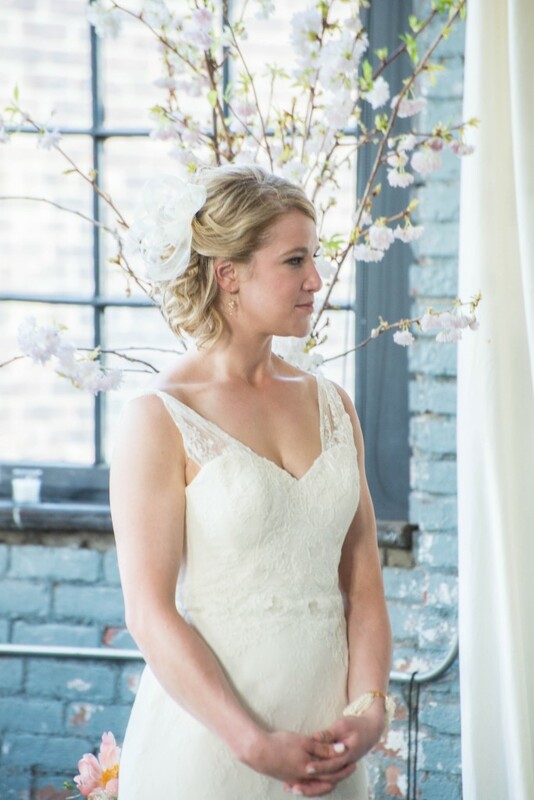 However, Heather felt that Cherry Blossom stems would be an awesome addition to pair with the Birch Trees and brought in over 100, to be exact! 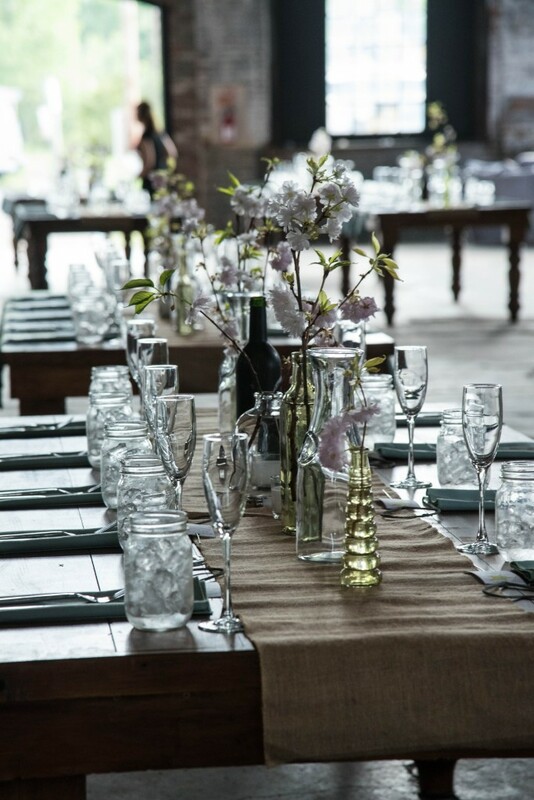 And let’s not forget the fact that Cherry Blossoms are off season in late May! 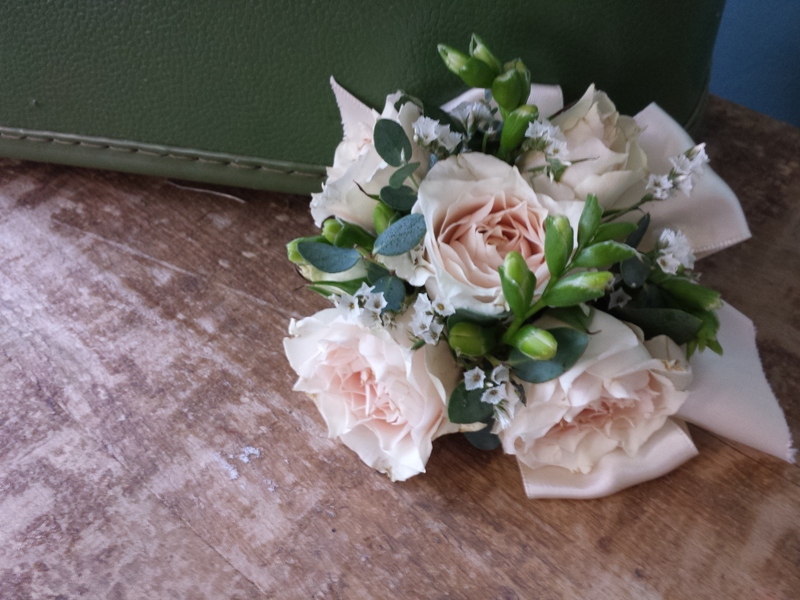 But those of you who know Heather know she loves a challenge when it comes to flowers, especially flowering branches! Paul couldn’t have been any more excited to receive his and the groomsmen’ s boutonnieres. We found them all playing pool and having a great time! 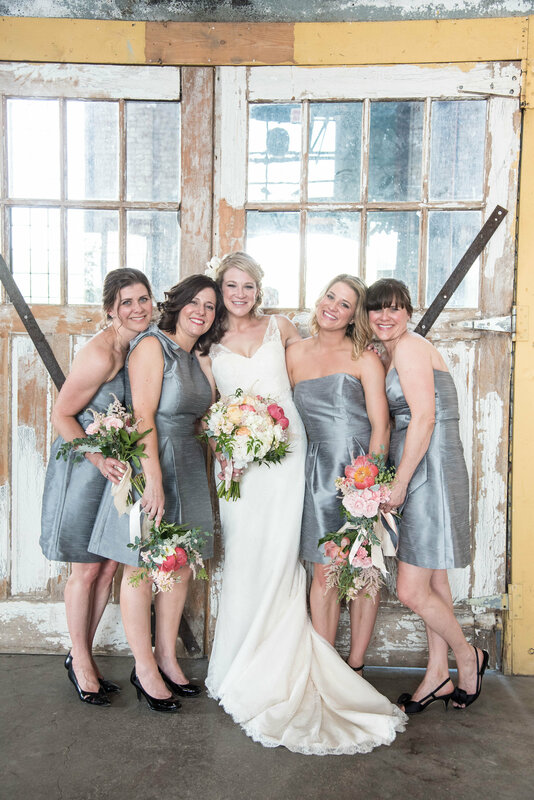 We really enjoy getting to see all of the fun times that lead up to a wedding so early in the day! 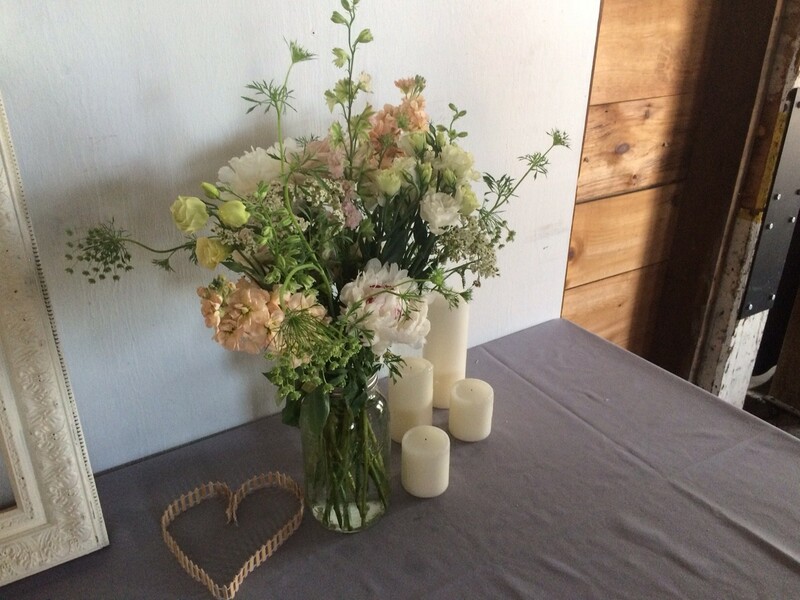 The ceremony space was really lovely, we lined the aisle with our (rental) ferns, and added blush toned Orchids to them all. Two larger sized Cherry Blossom arrangements marked the front of the aisle. 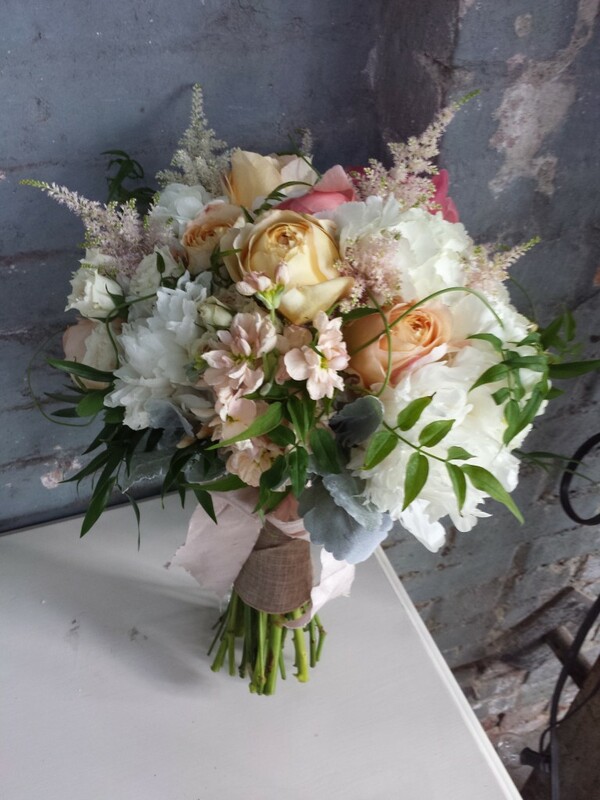 We loved the contrast of the pale pink blossoms against the light blue brick wall! 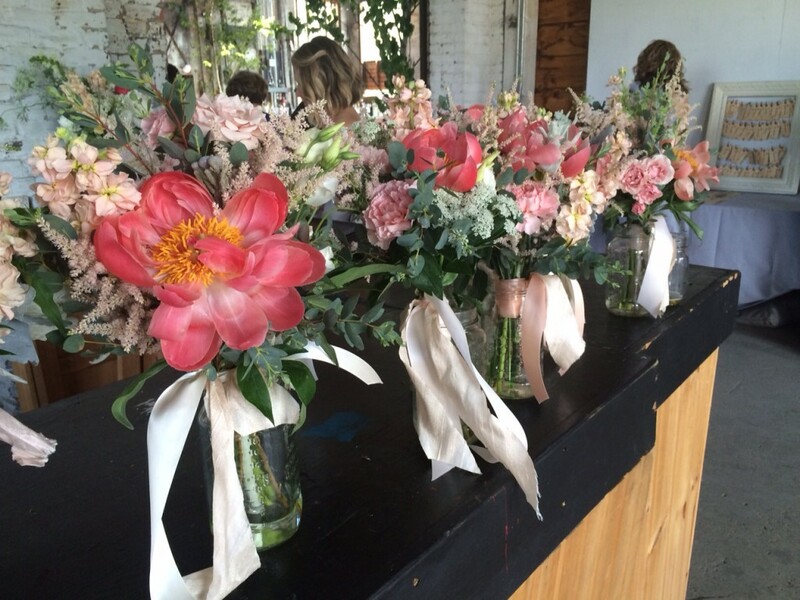 The rest of the space was decorated with additional floral arrangements containing the most fragrant and gorgeous Peonies, Garden Roses, Vines, Succulents and candles. 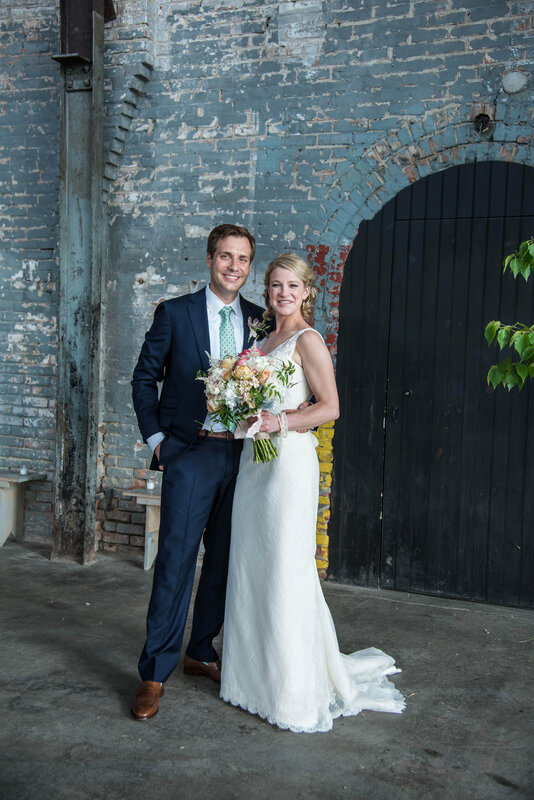 Congratulations Christina and Paul! 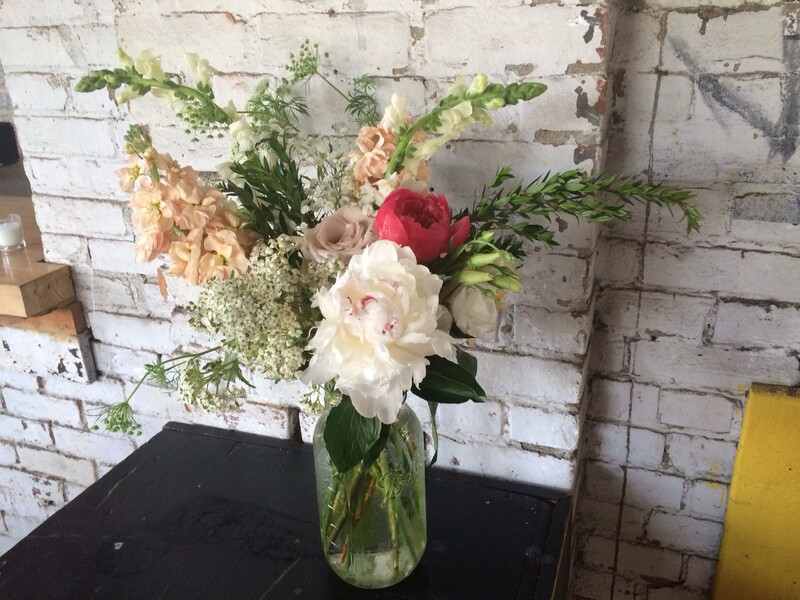 All of us here at A Night In Bloom wish you both a lifetime of happiness!! 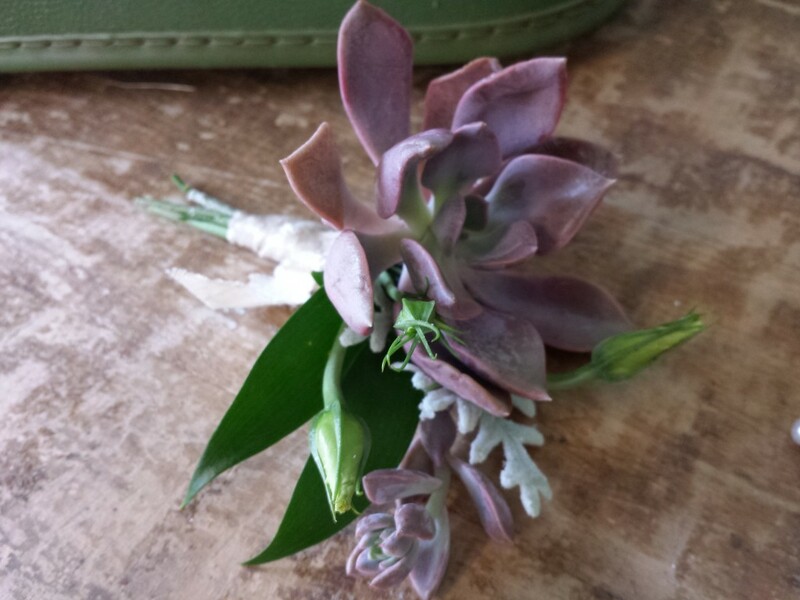 Paul’s boutonniere was made with succulents! 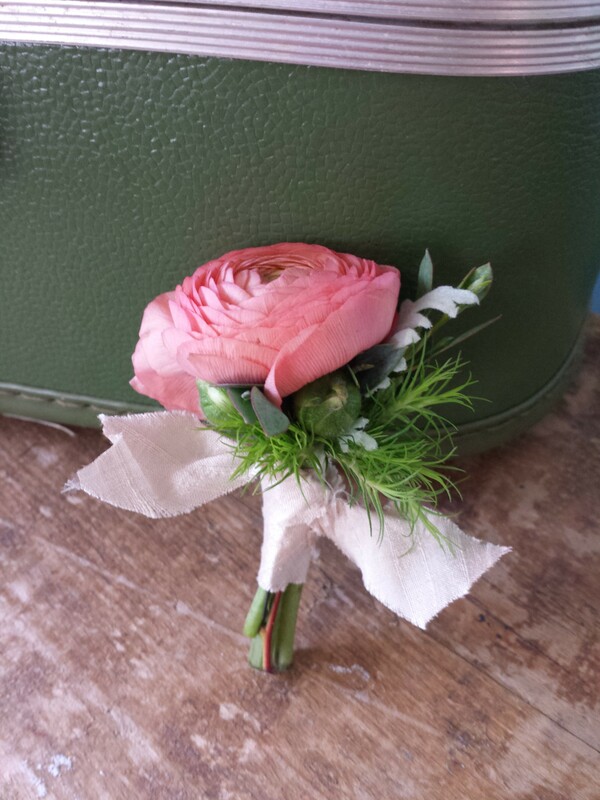 All of the additional boutonnieres were salmon toned Ranuculus, wrapped in raw silk ribbon. 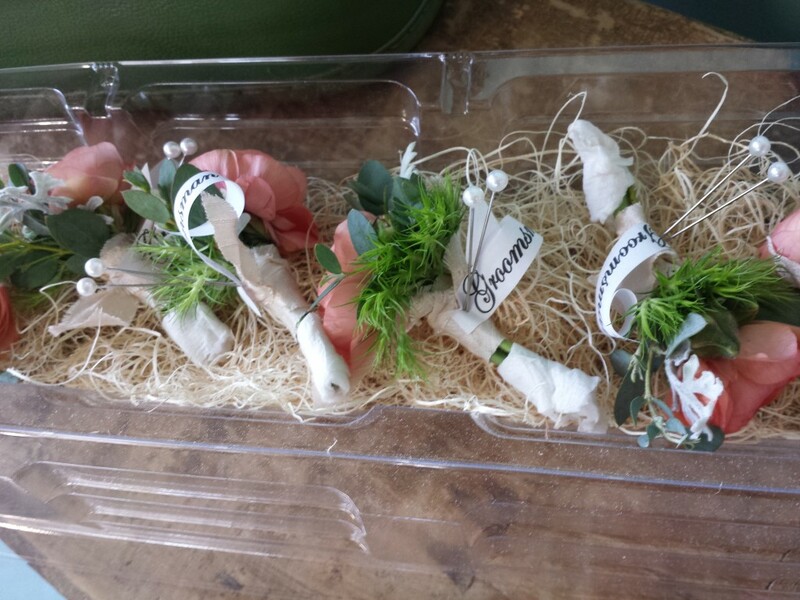 Please note: the stems are still wrapped on the bottom with paper in this photo, to ensure freshness during delivery. 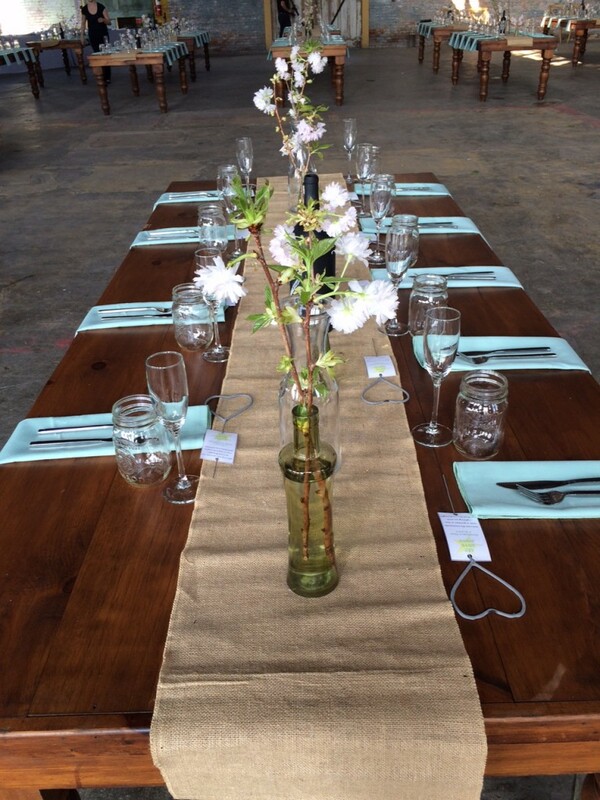 We would like to thank all of the vendors we had the pleasure of working with at this event!